I confess: I’m an adult learner who can’t stop taking college courses. It’s an addiction, a yearning to learn more and maintain relevancy in this era of an uncertain job market. With the likelihood looming that I’ll be working well past formal retirement age, the zeal to remain employable forces me to stay focused and keep my skills sharp. Thus, I’m back in school at the age of 52 completing my seventh postsecondary degree. Why pursue another degree at my stage in life? Because the job market is shifting dramatically. Formal degrees I completed years ago seem strangely irrelevant in today’s competitive labor market. Granted, my education has served me well. It taught me how to learn. It propelled me to never stop learning nor stop acquiring knowledge. The diplomas I earned are still an important marquee. 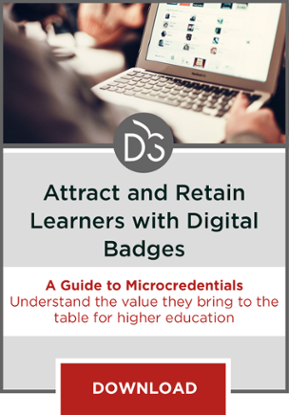 They signify and validate the educational experience — even in this era of badges, certificates and informal learning processes. So, when I needed to make a decision regarding an MBA program, I did some investigation. I could have taken the traditional approach, which is to enroll in a high-profile, highly recognized program lauded by the business community. That path would likely require sitting in class, alongside students half my age with considerably more time on their hands to study. However, as an advocate for non-traditional, online education, my path led in another direction: toward competency-based learning, the oft-misunderstood and mischaracterized approach to degree completion that is quickly taking root. 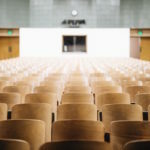 Whereas traditional programs structure the entire course around the syllabus, competency-based learning bases everything on what the student should know, understand or be able to demonstrate at the conclusion of the course. Normally, this is in the form of a competency rubric. The formal syllabus effectively becomes moot. There are structured resources that form the foundation of the course, leading to a series of tasks students are expected to know and be able to demonstrate. I find this approach both refreshing and effective. There are no “B” or “C” grades (“just getting by”). Either the student knows the content – as demonstrated through the tasks – or they don’t and need to repeat the task until it has been mastered. The course of study is extremely rigorous, perhaps one of the more rigorous programs of study I’ve been involved in. It’s not uncommon to produce multiple papers totaling tens of pages for each individual task. Often, courses have between two and five such tasks with multiple sub-sections. Each of these sub-sections has been selected as a competency because it demonstrates an area that subject matter experts deem critical. Whereas faculty in a traditional program generally make such determinations through curriculum committees, the competency-based learning curriculum is often determined by external validators. The program of study makes heavy use of electronic resources made available to students for a set, predictable, relatively modest course fee each term. By utilizing electronic resources, the content developers can ‘heat map’ the material and determine where students are falling behind. Using that data, they can make dynamic adjustments to their resource libraries. I find these resources to be much better than traditional textbooks. If a student is competent in a subject area, that person should be allowed to move to the next course. There is no ‘testing out’ nor ‘life-experience credit,’ per se. Rather, the student completes the assigned tasks without the need to spend time embedded in the formal coursework. This allows the student to compress his or her degree plan if so desired. This saves both time and money. For example, a person holding a Certified Public Accountant credential will likely be able to demonstrate competency in an introductory MBA financial analysis course without the need to spend time in the coursework. However, there are challenges with competency-based programming as well. One of the biggest adjustments I had to make was to the use of shadow-graders, anonymous individuals who evaluate the submissions, but that students have no direct communication with outside of the submission. These individuals are not the course instructors. Those tasks are delineated in order to reduce grading bias. This was a difficult adjustment to make because it differs so much from traditional grading processes. In general, however, I’ve found competency-based learning to be very effective. It’s thorough, rigorous and I believe I’m learning as much, if not more than, in a traditional program. To read Gibson’s next article, looking at competency-based education from the administrator’s perspective, please click here. For his third article on the most significant challenges standing in the way of the adoption of competency-based education , please click here. Like Gibson, I find it strange that competency-based learning is thought of as less rigorous than the traditional curriculum. It would seem to me that the traditional curriculum allows students who don’t fully understand material to squeak by, while competency-based assessment requires students to actually demonstrate knowledge in a certain area before moving to another subject. Moving to a competency-based model shifts the focus from credit completion to acquiring knowledge and skills. This is not a bad idea for students of today, who tend to think of postsecondary education as a stepping stone to a career. Instead of viewing education through this narrow lens, students should be made to understand that the process or journey is equally important. They would do well to have the same curiosity and thirst for knowledge demonstrated by Mr. Gibson. New technology has made a competency-based education possible. The idea of being able to ‘heat map’ a student’s progress through a course is useful for helping the student to develop a realistic learning path, as well as for the institution at large. For example, data analytics software could allow institutions to determine if students are facing challenges in the same areas and whether that is a systemic issue that demands corrective action on the institution’s part. 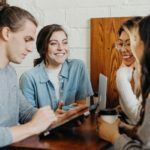 Is there one MBA course of study for everyone? Does the institution tell you what an educated person should know and be able to do, and make sure you’ve been exposed to all the important skills (oral presentations, research, and such) by the time you get a degree? Are the courses taken in a particular order to reinforce the learning and skill-building in an intentional way? Or do you as a student do what you want, when you want?